In today's NHL, the majority of saves are based on positioning. 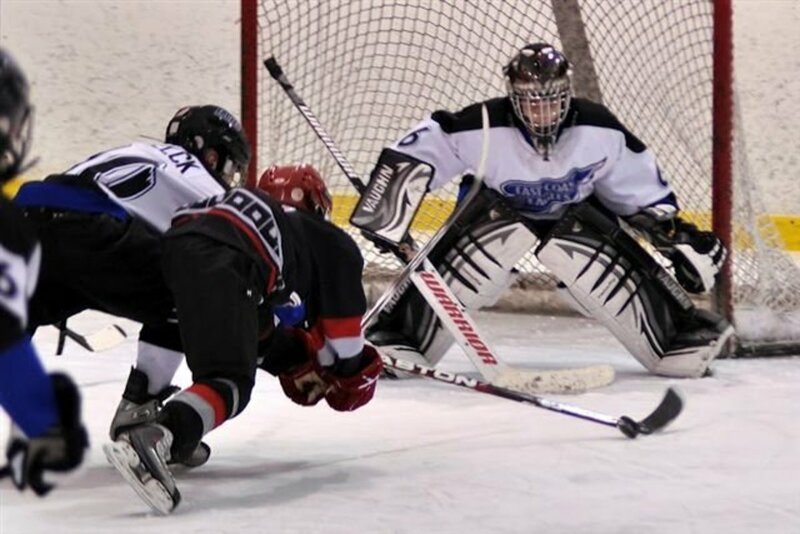 Goaltenders today are expected to be big and take up as much space as possible in the front of the net. Small goaltenders tend to be at a huge disadvantage because they take up less space. They have to wear proportional equipment which means they cover even less of the net than say a 6'5 goalie with his massive equipment. 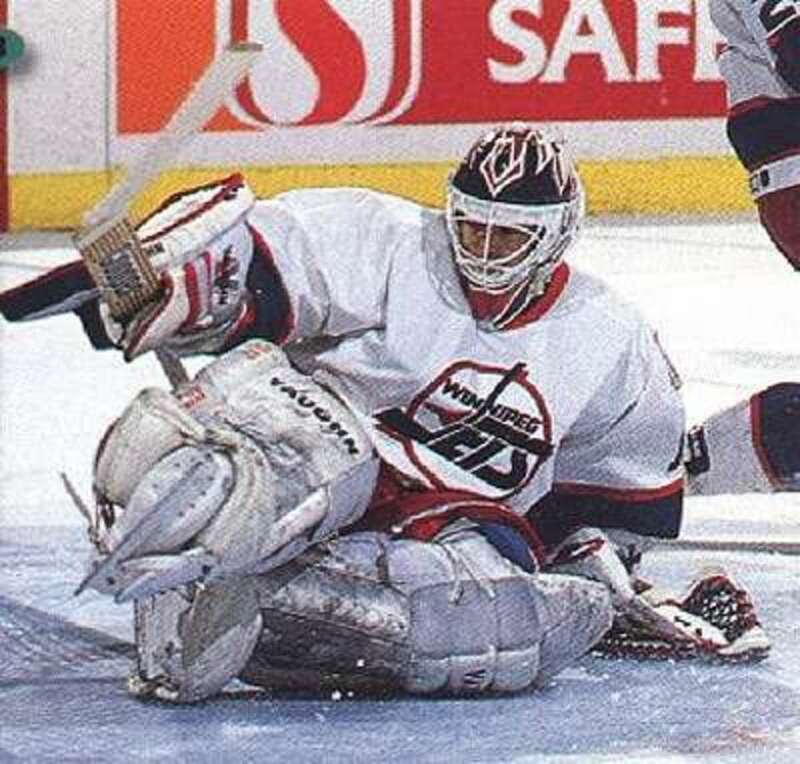 The constant evolution and importance placed on defensive systems play means goaltending is no longer about crazy reflexes and flying around the crease making acrobatic saves. Dealing with cross-crease stuff that used to be the bread and butter of "agile" smaller goalies is now almost fully on the defensive players to limit and take away. 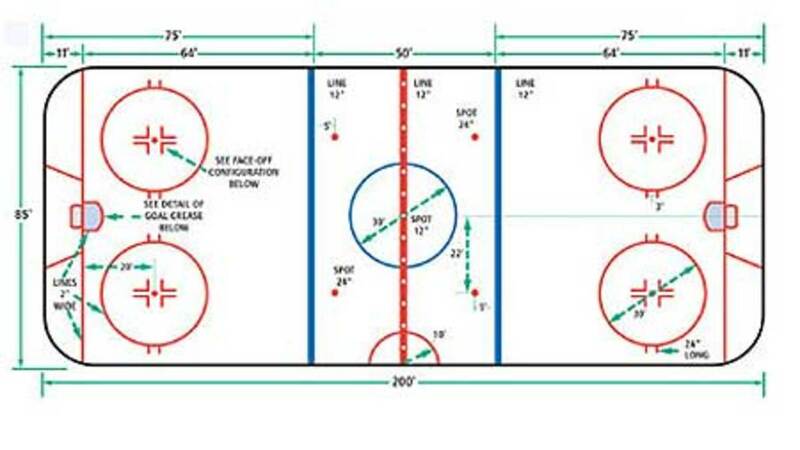 Because of this, the quickness, agility and reflex advantages associated with very small goalies are de-emphasized, and their lack of sheer blocking area is what ends up most emphasized. It’s amazing how the game has evolved over a pretty short period of time. Everything below 6'0" in net is considered short now. With the average height of an NHL goalie being just over 6’2, a 5'7" goalie would need to be a freak of nature to crack an NHL lineup today. The deck is pretty much stacked against anyone under 5'11 from making it to the NHL today unless he's a phenom who is somehow doing something different than the rest of the goalie pool. As such, the goalies that you will see on this list will not be of the modern era. Gump Worsley was given the nickname, ‘Gump,’ because of his resemblance to comic-strip character Andy Gump. He signed with the New York Rangers of the NHL in 1952 but was sent back to play in the lesser known leagues after he demanded his pay be increased by 500 dollars a year. He made his impact felt immediately in the Western Hockey League (WHL) winning the league’s most valuable player with the Vancouver Canucks in 1954. His achievements in the minor leagues resulted in him being called again by the Rangers as their starting goaltender. He was able to beat future NHL star, Johnny Bower, for this position. However, he had another misunderstanding with the team which resulted in him being traded to the Montreal Canadiens. This time it was because of his involvement in a proposed players’ union. His best years were with the Canadiens winning four Stanley Cups with the team in 1965, 1966, 1968 and 1969. He had his best season in 1968 where he followed up a Vezina-winning performance and a career-low 1.98 goals against average by going undefeated in the playoffs with eleven straight wins. He was coaxed out of retirement by the Minnesota North Stars recording his best season with the team in 1972 where he was second in the league with a 2.12 goals against average. Named to play in the 25th National Hockey League All-Star Game, Worsley was the first goaltender to have won 300 games and lost 300 games. This remarkable feat was later equaled by Curtis Joseph. Worsley was inducted into the Hockey Hall of Fame in 1980. He was one of the last two goaltenders (the other being Andy Brown) to play in the NHL without a face mask, doing so until his final season. Brodeur started his professional career with the Quebec Nordiques in the World Hockey Association. 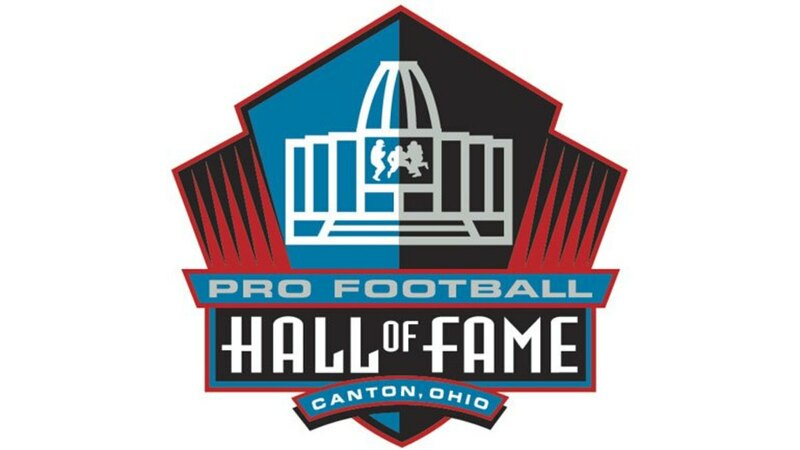 He played there for seven seasons helping the team win the Avco World Trophy. He ended up being traded to the Vancouver Canucks prior to the 1980-81 NHL season after not getting much playing time with the Islanders. He was the third goalie for the Islanders behind Billy Smith and Chico Resch. Brodeur guided the Canucks during their improbable playoff run to the finals, eventually losing to his old team, the Islanders. Brodeur was selected to play in the 1983 All-Star Game but suffered an ear injury which ruled him out of the game. He ended his NHL career with Hartford after remaining with the Canucks for almost eight seasons. Brodeur was inducted into the World Hockey Association Hall of Fame in 2010. Jacques Cloutier was picked in the 1979 NHL Entry Draft by the Buffalo Sabres. He also played for the Chicago Blackhawks and Quebec Nordiques. Cloutier wore #1, #29, #31 and #32 during his NHL career. 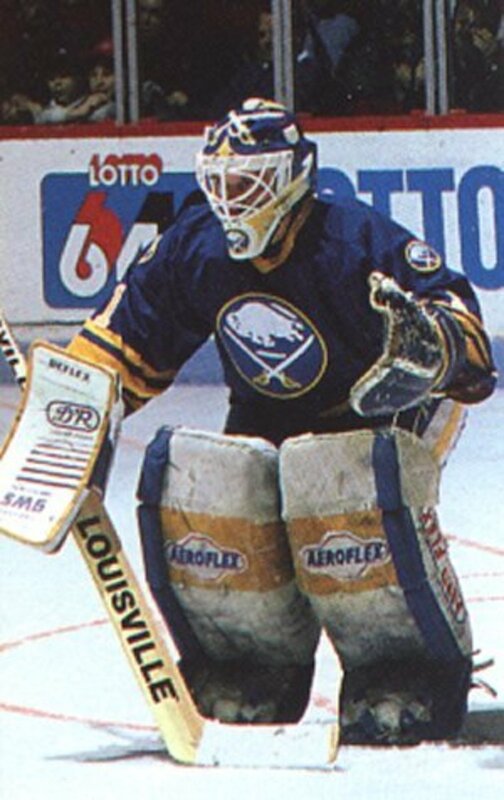 He was the starting goaltender on the 1982-1983 Calder Cup champion Rochester Amerks, the American Hockey League affiliate of the Buffalo Sabres. Cloutier was inducted into the Amerks Hall of Fame in 2000. Michael Anthony O'Neill was drafted 15th overall by the Winnipeg Jets in the 1988 NHL Supplemental Draft while he was at Yale University. O'Neill only featured a few times for the Jets making just 17 appearances. He mainly played for the Moncton Hawks of the AHL and the Fort Wayne Komets of the IHL. O'Neill was signed as a free agent by Anaheim and played mainly for the Long Beach Ice Dogs in the IHL. He then signed with the Washington Capitals as a free agent in August 1997 and played 47 games for the Portland Pirates of the AHL in 1997–98. In 2000–01, he played for the Sheffield Steelers of the British Ice Hockey Superleague and won the B&H Cup, the Challenge Cup, the League Championship and the Playoff Championship. 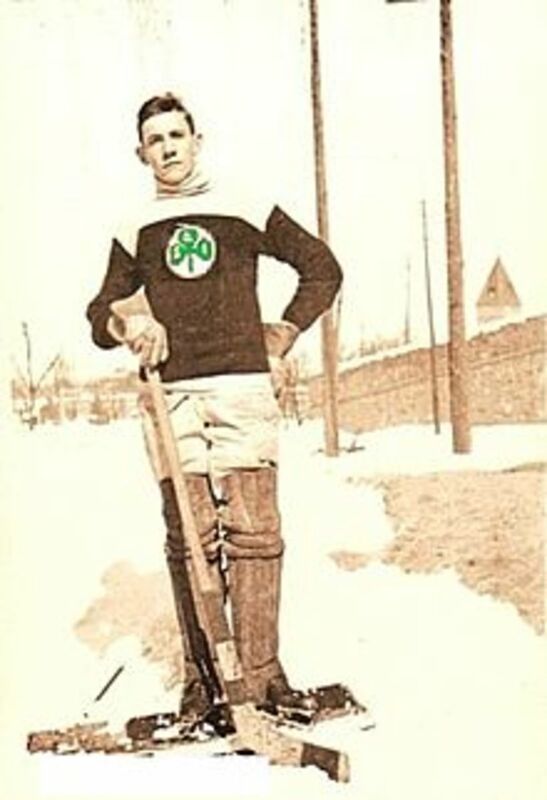 Frank Brophy only played one season in the National Hockey League. In that one season, he played for the Quebec Bulldogs. He played in 21 games and conceded 148 goals. Jake Forbes played thirteen seasons in the National Hockey League. He played for teams like the Toronto St. Patricks, Hamilton Tigers, and New York Americans. He spent the majority of his career playing for the Hamilton Tigers/New York Americans franchise. Whilst playing for the Toronto St. Patricks, he sat out an entire season while holding out for a $2500 salary becoming the first NHL player to sit out an entire season due to a contract dispute. In Forbes' NHL career, he finished with 84 wins, 114 losses, and 11 ties, with a 2.76 goals-against average. He was the last surviving former player of the Hamilton Tigers. Abbie Cox only played a total of five games in the NHL. He played for the Montreal Maroons, New York Americans, Detroit Red Wings, and Montreal Canadiens. Cox signed with the Montreal Maroons after playing two seasons with the Springfield Indians who were at the time an affiliate of the New York Rangers. He only managed to play one game with the Maroons spending most of his time playing for the minor league Windsor Bulldogs. Cox only played periodically in the NHL. 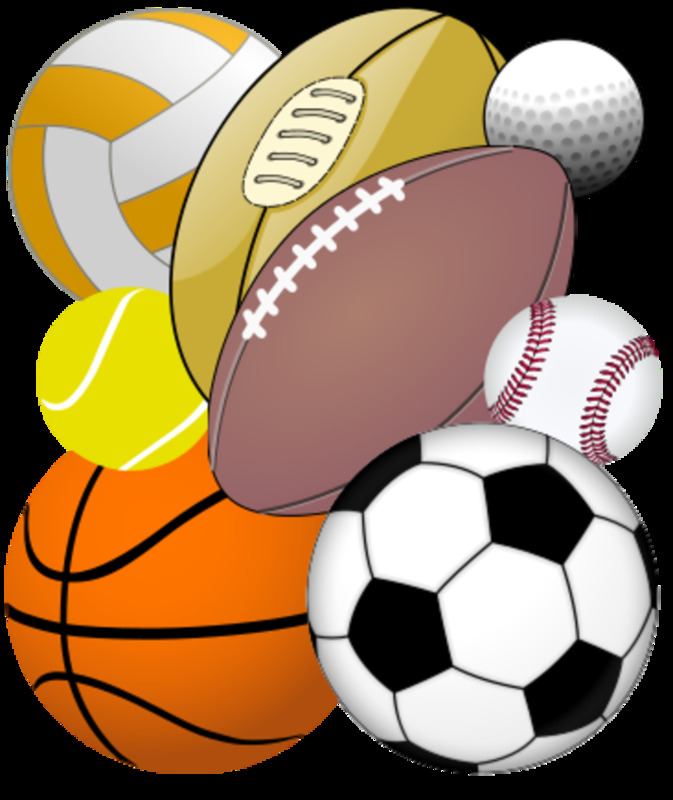 He spent a significant portion of his career in the minor leagues. He played two games for the Detroit Red Wings and one game for both the New York Americans and the Montreal Canadiens. 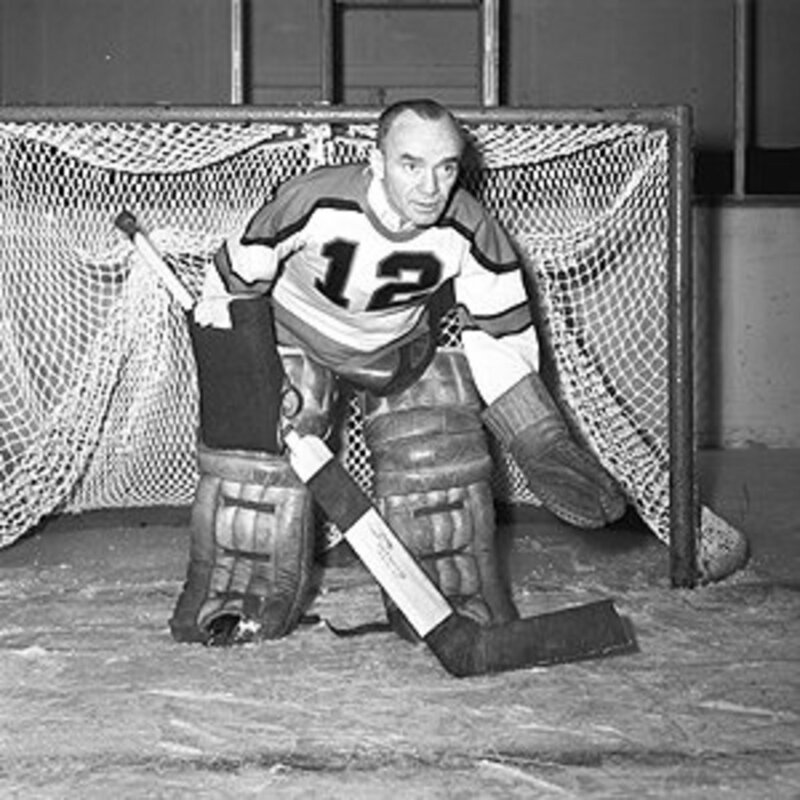 Charlie Hodge played as a goalie in the NHL for the Montreal Canadiens, Vancouver Canucks, and Oakland Seals. 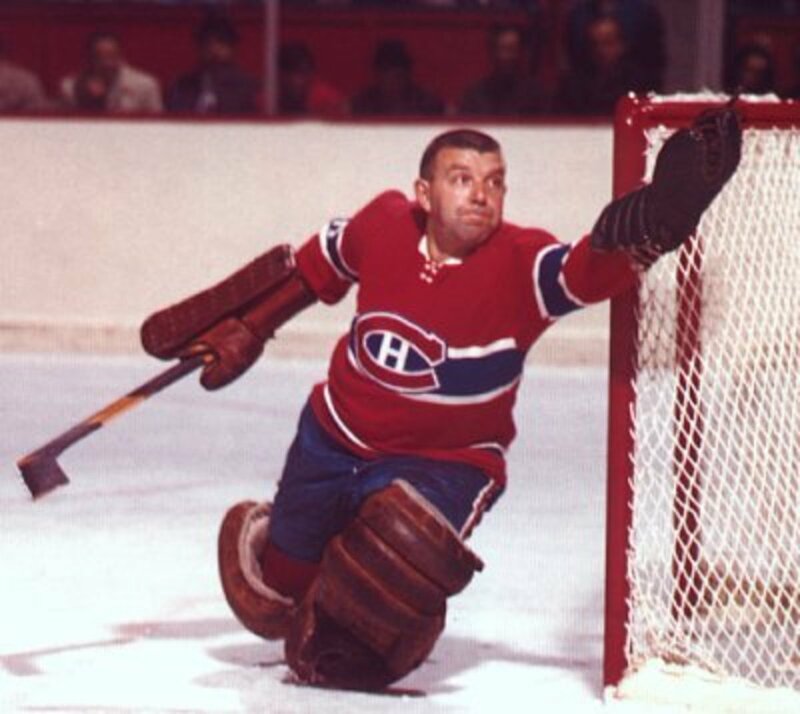 Whilst with the Montreal Canadiens, he didn’t enjoy much playing time initially due to the fact that Montreal had perhaps the best goalie of the era in Jacques Plante. Hodge was only used in emergency situations. Hodge got the chance to play full time after Plante was traded. He made full use of this opportunity winning the Vezina Trophy twice for being the goaltender of the team allowing the fewest number of goals during the regular season, once outright in 1963–64 and shared with Gump Worsley in 1965–66. Hodge was picked up by the Oakland Seals in the 1967 NHL Expansion Draft where he earned 13 wins, including 3 shutouts. He was demoted to play in the Western Hockey League for the Vancouver Canucks after not getting much playing time in Oakland and would retire later. Hodge managed to have his name engraved on the Stanley Cup six times as a player. This 5’5” Canadian is one of the shortest ice hockey goaltenders to play in the NHL. Robbie Moore played for the Philadelphia Flyers and Washington Capitals. He is believed to be one of the first goalies in professional hockey to come out of his net and handle the puck like a defenseman. 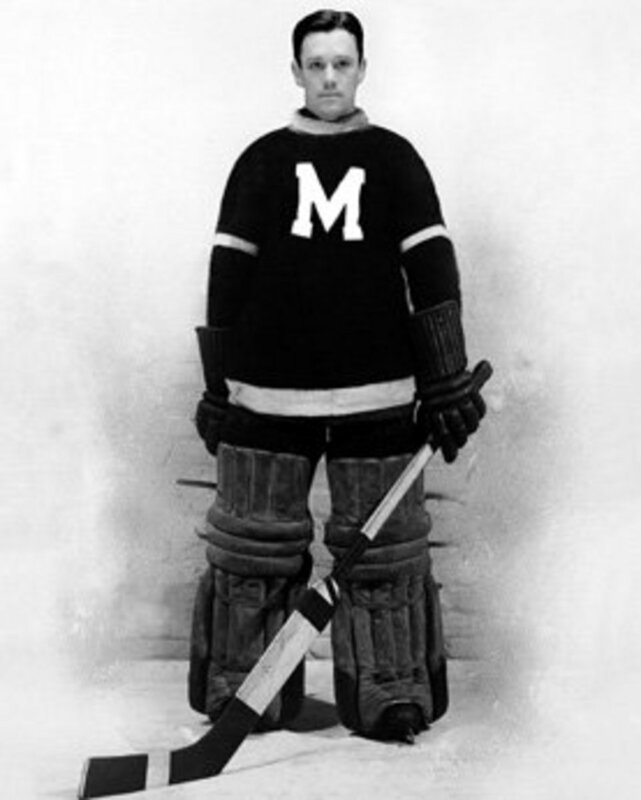 Moore played his college hockey at the University of Michigan where he held the Michigan Wolverines hockey record for most saves by a goaltender with 4,434. Moore signed as a free agent with the NHL Philadelphia Flyers even though he was undrafted by the NHL. 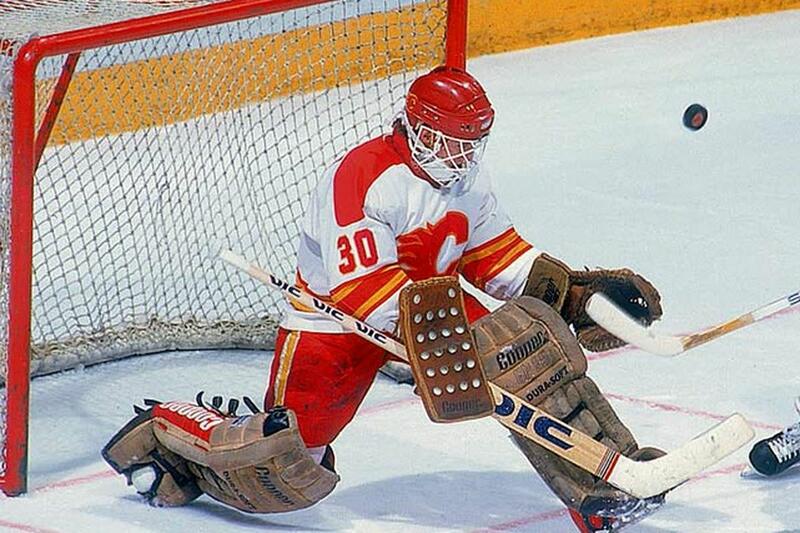 He had his NHL debut in 1979 against the Colorado Rockies and registered a 5–0 shutout. Moore recorded a 1.77 goals against average and also earned one assist in his five NHL regular season games. In his five NHL games, he ended up with two shutouts, placing him in the top 10 for NHL shutouts that season, in a tie for 9th overall. 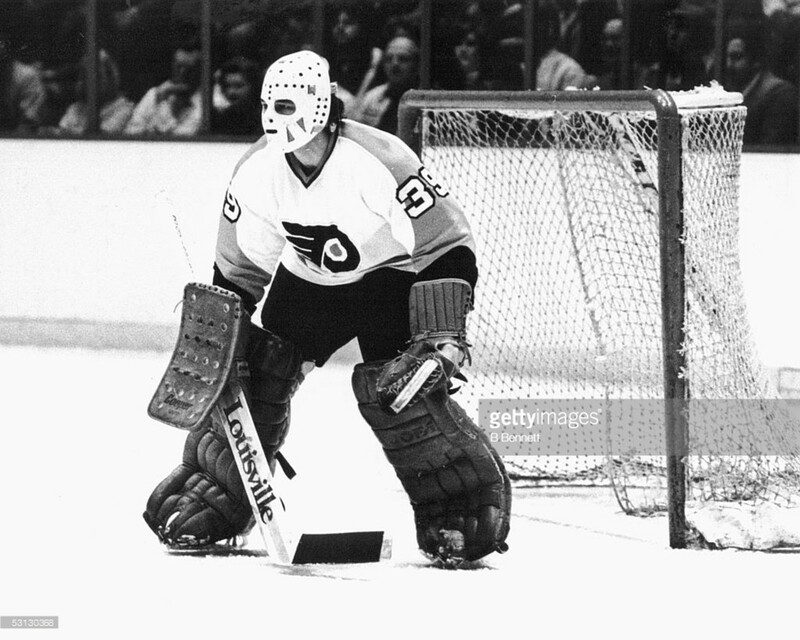 Moore also played 5 games for the Flyers in the 1979 playoffs, more than any goaltender for the Flyers that season. The Flyers won their first-round playoff series against the Vancouver Canucks but lost to the New York Rangers in the second round. Moore had a 4.03 goals against average in the playoffs and one assist. Moore was traded with a draft choice to the Washington Capitals in exchange for Wes Jarvis and Rollie Boutin after the 1981–1982 season but only managed to play one game for the Capitals that season. 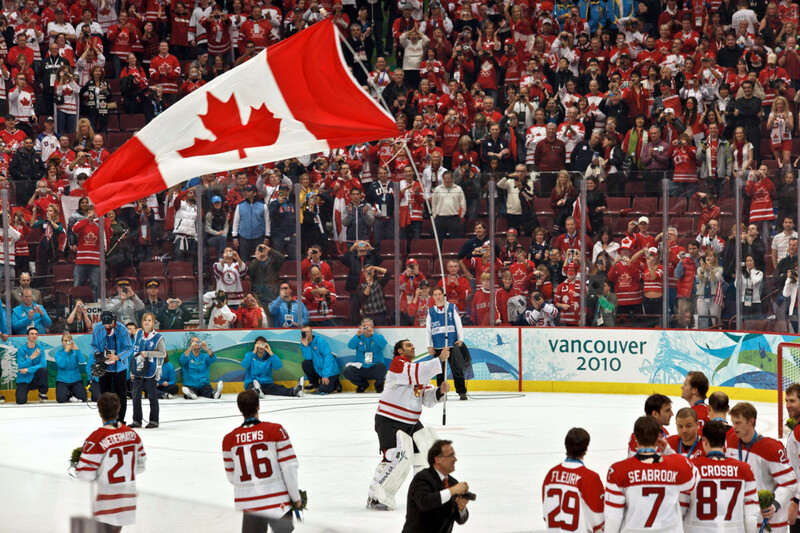 Darren Pang started out as a youth goalie playing in several minor hockey tournaments such as the Quebec Pee Wee Tournament where he played for the West Ottawa Golden Knights. He was drafted by the expansion Belleville Bulls becoming their first goalie. He won the Memorial Cup with the Ottawa 67’s after he was traded there and was able to pick up the Top goalie and All-Star team awards as well. Pang was often teased as having a “sixth hole” above his head due to the fact that he stood at only 5’5. He is the joint second shortest goalie to play in the NHL along with Robbie Moore. He was named to the NHL All-Rookie Team in 1988 and was a finalist for the Calder Trophy as the NHL's Rookie of the year, won by Hall of Famer Joe Nieuwendyk. 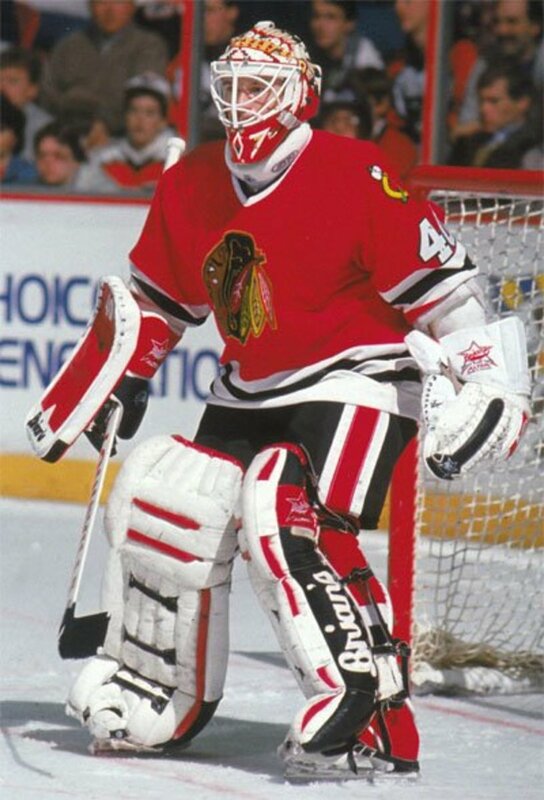 Pang set a Blackhawks goaltender's record with six assists in the 1987–1988 NHL season after signing as a free agent with the Chicago Blackhawks. Unfortunately, Pang's career was cut short by a knee injury he suffered during a training camp. Roy "Shrimp" Worters is officially the shortest player to ever play in the NHL. 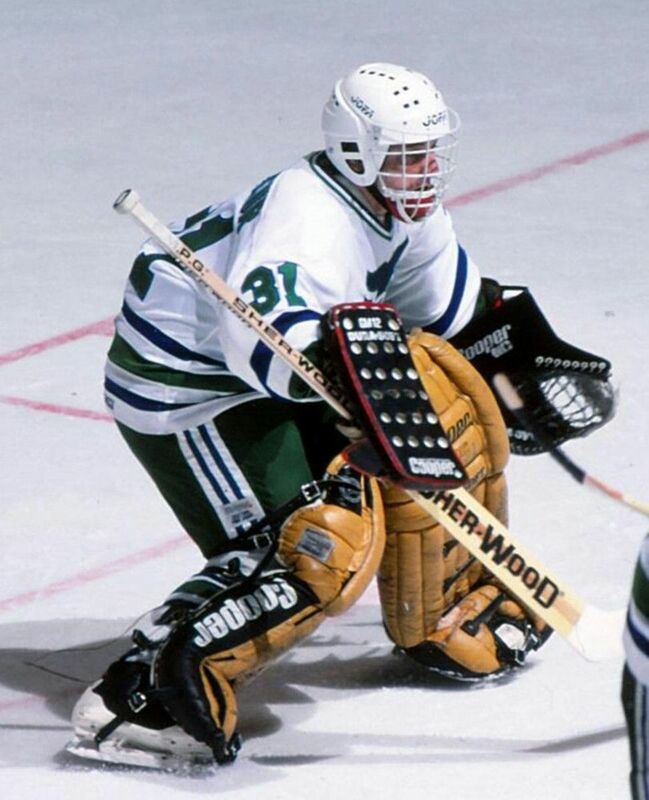 At just 5’3, he was able to play twelve seasons in the National Hockey League recording 66 shutouts in his career. 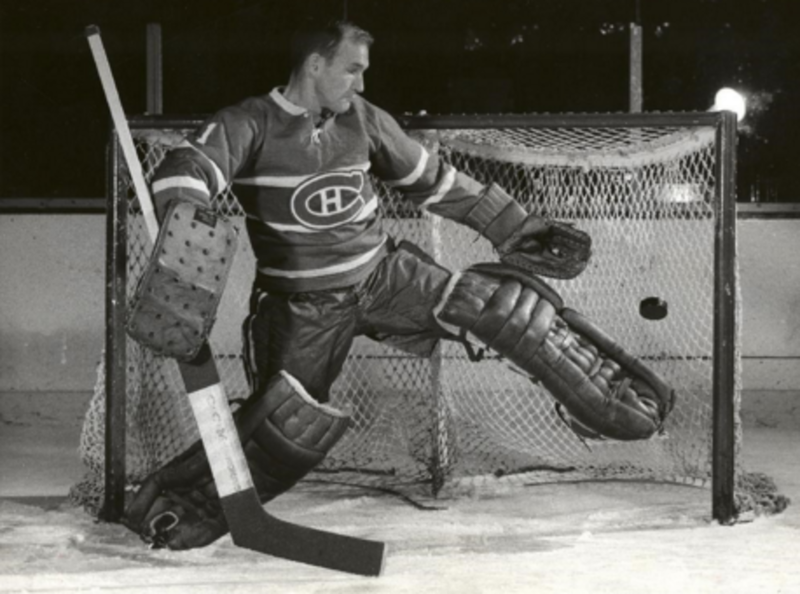 He played for the Pittsburgh Pirates, Montreal Canadiens, and New York Americans. In his 3 seasons with the Pirates, he showed remarkable skills. Worters stopped 70 of 73 shots in the Pirate’s first season in a 3-1 loss to the Americans. He would go on to spend the rest of his career with the Americans after refusing to sign with the Pirates in the 1927-28 season. Worters became the first goaltender to win the Hart Memorial Trophy after leading the Americans to second place in the Canadian Division. 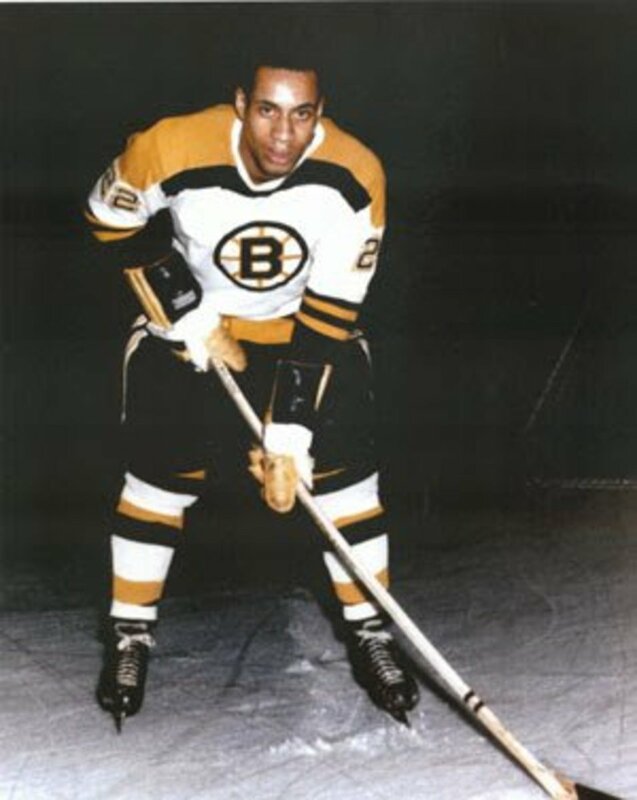 He benefited from having a crew of large defenceman guard him during his time with the New York Americans which helped offset his size disadvantage. 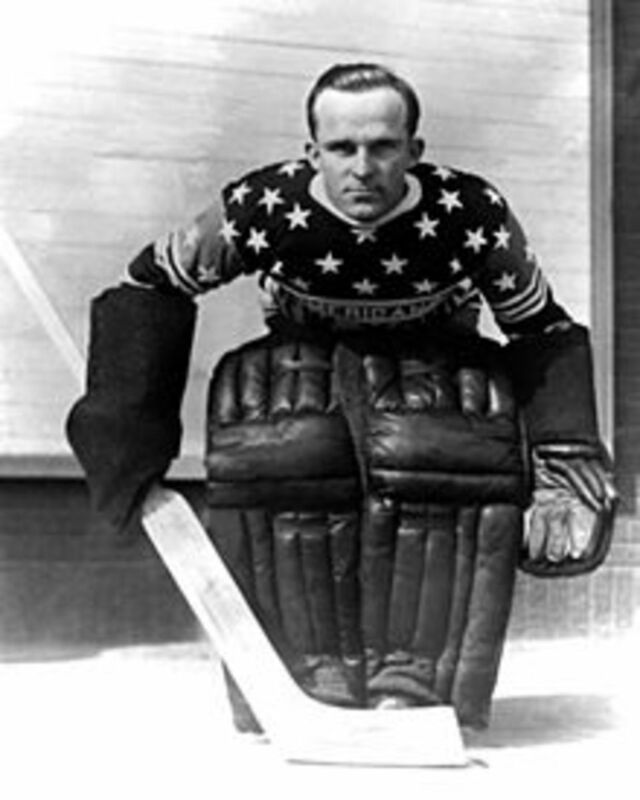 Worters would go on to win the Vezina Trophy in 1930–31 as the league's best goaltender. Worters became the first goalie in NHL history to record back to back shutouts in his first two games for a new team. 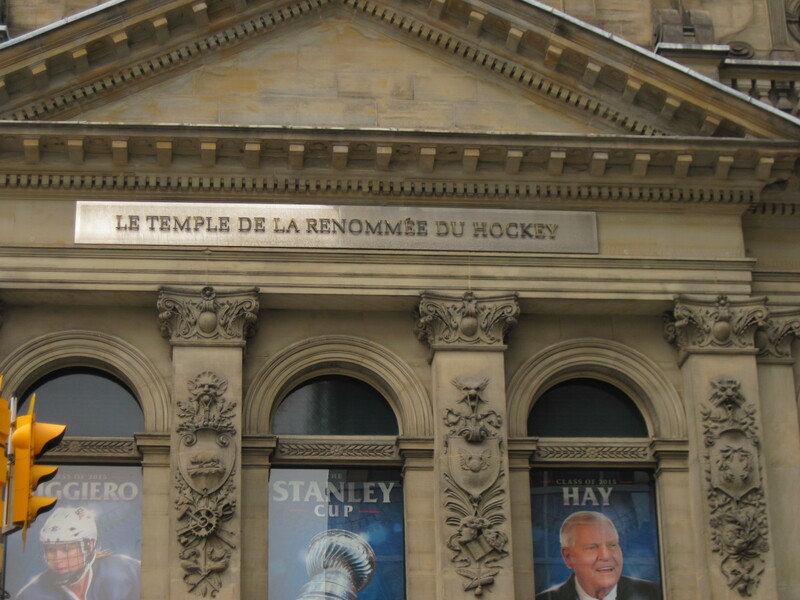 He was inducted into the Hockey Hall of Fame in 1969.